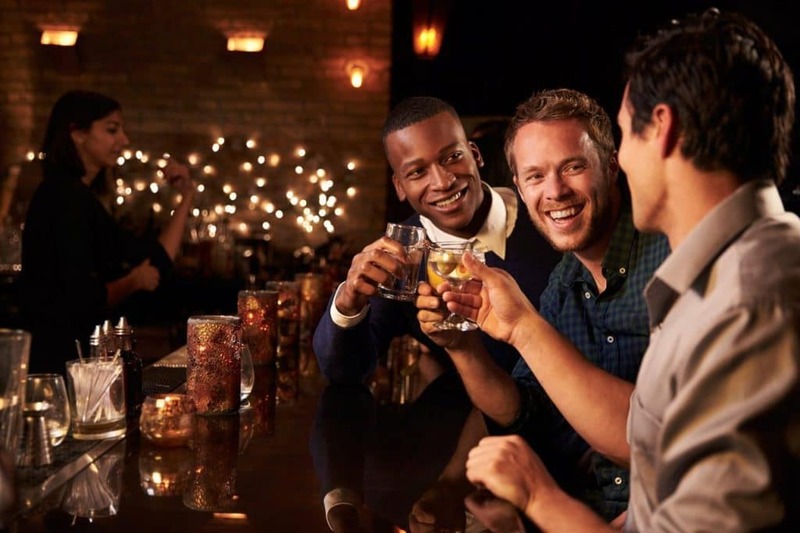 As a popular tourist destination, Cape Town has a number of top class bars and pubs that are definitely worth a visit, but most locals steer clear of the tourist hotspots and rather opt for places a little off of the main streets. Here you’ll meet real Capetonians on their home turf, and if South Africans’ friendly reputation is anything to go by, you’ll be making new friends in no time. So if it’s a drink you’re after, here are some of the places where the locals go to wet their throats. Established in 1808, Persies, as it’s affectionately known, is the oldest pub in Cape Town. It’s a no-nonsense place that serves a variety of drinks to a diverse crowd of locals who can often be found outside in the garden, enjoying a drink, or inside watching sports on the big screens. If watching sports is your thing, then head over to the Fireman’s Arms, another one of the city’s oldest drinking holes where you’ll find numerous big screens showing the latest game. During major sporting events Fireman’s bursts at its seams with a electrifying atmosphere and eager fans often spilling out onto the sidewalk. Quiz nights on Thursday evenings are also hugely popular. Another great place to join locals getting passionate about sports is Forester’s Arms. Situated in the leafy Southern Suburbs, just a stone’s throw away from Newlands Rugby and Cricket stadiums, Forrie’s is almost always packed to the rafters with people grabbing after-work drinks or cheering their favourite team on one of the many big screens scattered around the venue. Tucked away in Harrington Street, just around the corner from the parliament buildings is Lefty’s Dive Bar. While this noisy joint is famous for its waffles with fried chicken and bacon, it’s also a favourite among locals to grab a couple of drinks and hang out with their friends. The epicentre of Cape Town’s hipster scene, the tiny P&G is situated just around the corner from trendy Kloof street, and is always abuzz with the local creative crowd. They offer a wide variety of wines, craft beers and some amazing hotdogs. If you want to hang with Cape Town’s hip crowd, P&G is the place! Downstairs from El Burro, one of the best Mexican restaurants in the city, is Cabrito, an intimate drinking spot offering more than 26 craft beers and as many as 40 different tequilas. This unique and quirky bar in Green Point has quickly become a firm local favourite ever since it opened its doors back in 2013. On a hot summer’s night the lively crowd at Cabrito’s can often be seen spilling over onto the side walk outside. For a more rock ’n roll kinda vibe, head on over to House of Machines in Shortmarket street in Cape Town’s city centre. Coffee shop and motorcycle workshop by day, come night time, HoM turns into a lively bar with a grungy edge. Locals often head out that way for a couple of drinks after dinner because if you live in Cape Town, you’re bound to run into someone you know. Yours Truly in Kloof Street is one of the city’s most popular local hangouts. Actually one of four other Yours Truly spots in the city, including upstairs bar, Up Yours, the Kloof street venue is filled day and night with Capetonians relaxing under the Jacaranda trees while enjoying a drink with friends. Sundowners on Sundays at Up Yours, the bar upstairs.